Teacher Appreciation Week is the first full week of May. 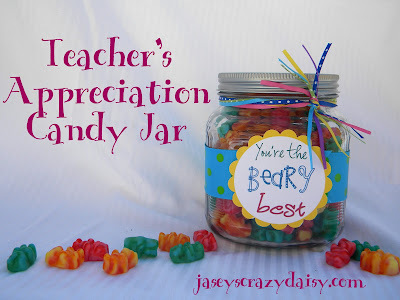 If you are still trying to figure out what to give to your children's teachers, I found some great ideas online. I hope by next week I can share with you some of my personal ideas, but in the meantime, check out these other creative ideas! Click on the pics below and it should take you to the source. What's great is that they all involve free printables! Gotta love it! Jasey's Crazy Daisy shows you how to put together these absolutely adorable gummy bear candy jars with free printable! Kelly from According to Kelly is a guest blogger on Skip to My Lou and shares this great fortune cookie gift idea. Here's a "SCENTsational" idea from the Itsy Bitsy Paper Blog. 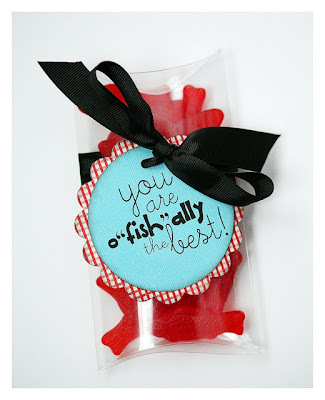 Eighteen25 has lots of cute and affordable ideas for teachers, including this cute package of Swedish Fish. Or you could simply drop a thank you note to show your appreciation! 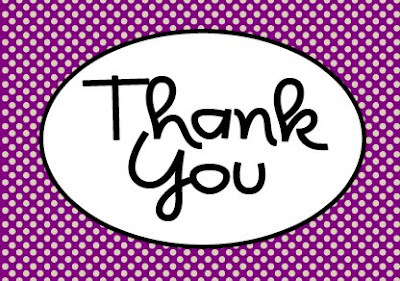 You can use my free "Thank You" card printable to say thanks! Just click on the image below to download your freebie! so many great ideas! thanks for including us in your list!! Great ideas, thanks for including my Beary Best Jar! 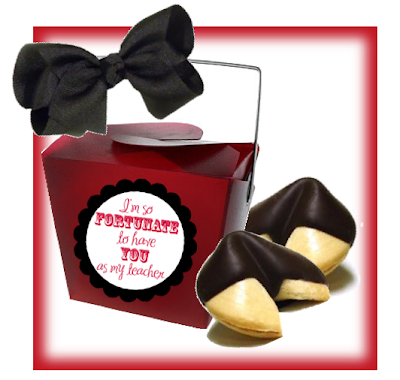 I just added another teacher gift idea. I took a look around... love your ideas and am sure I will be back!